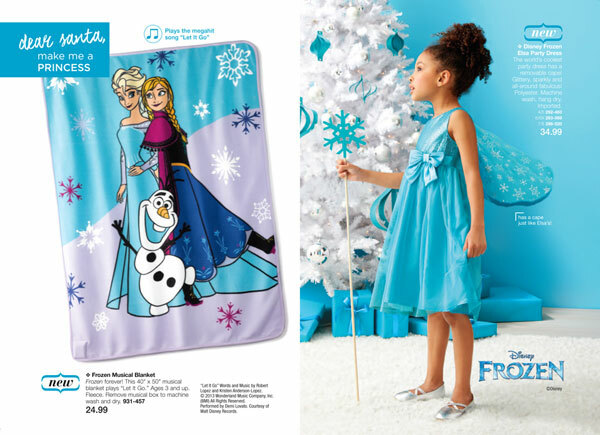 Check out the Disney Frozen Musical Blanket and Elsa Party Gown. This Disney Frozen Musical Blanket plays Let it Go. Remove the musical box and you can machine wash and dry. Only $24.99 The Disney Frozen Elsa Party Dress has a cape (removable) just like Elsa’s. Only $34.99 Both are great for the little girl Frozen fans. 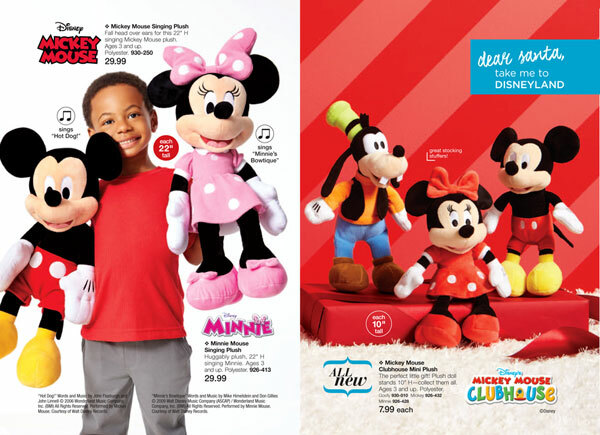 Mickey and Minnie both come in Singing Plush recommended for 3 and up. Each $29.99 sold separately. They also come in mini’s along with Goofy. Mini Plush are $7.99 each. How cute are they! If that isn’t enough, here comes Peanuts. Peanuts Snoopy and Gang Set $12.99 for 4 pieces (Snoopy, Charlie Brown, Lucy and Linus). 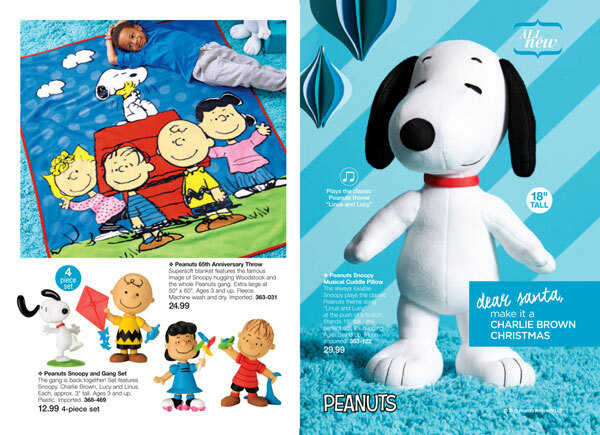 Peanuts 65th Anniversary Throw $24.99 Recommended for age 3 and up. Snoopy Cuddle Pillow $29.99 18″ tall. Snoopy is musical and plays the theme song.